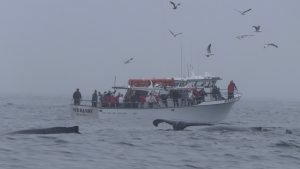 We have two vessels we use for whale watching. 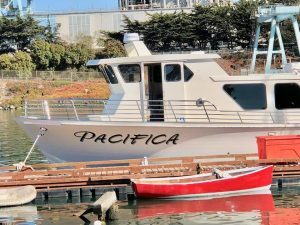 Both boats are slightly smaller than other companies in our area; giving us an opportunity to specialize in smaller group setting type tours. 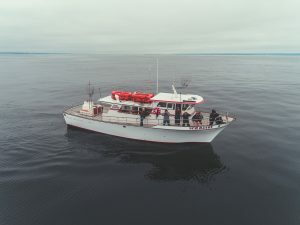 We pride ourselves on having our crew spend time on deck talking one on one to guests throughout the trip in addition to narrating with our microphone system. 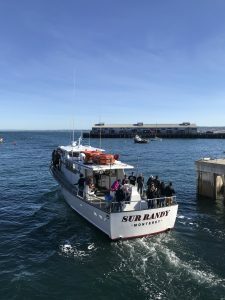 The Sur Randy is the vessel we tend to use on weekdays and during the slower tourist season (November-May). 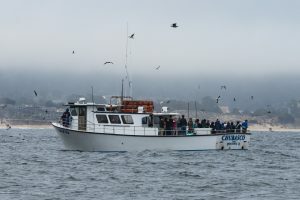 This is a 55ft vessel that is certified for 47 passengers. 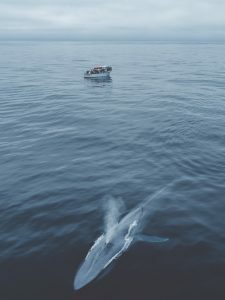 We limit the passenger load to 35 passengers when we use it for whale watching so it is more comfortable for our guests. 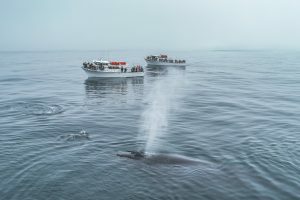 This also gives our crew an opportunity to spend lots of time on deck with guests. The Chubasco is the vessel we tend to use on weekends and during the busy travel season (June-October). This is a 63ft vessel that is certified for 59 passengers. We limit the passenger load to 55 passengers for the comfort of our guests. The Chubasco has a great low deck view from the back which is ideal for photography. Even with the larger passenger count, our crew has ample time to chat with everyone on deck. We may switch the boats at any time based on our schedule. 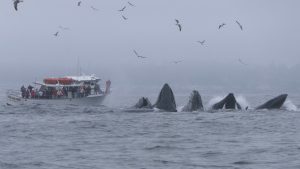 We may also use both boats when we have a high volume of whale watch reservations. Both vessels are also available for private charters upon request based on our schedule. 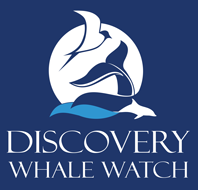 We have been updating and doing some serious remodeling on the newest addition to our whale watch fleet. 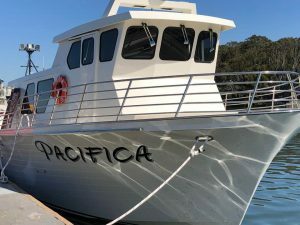 The Pacifica is a 50ft vessel certified for 47 passengers. 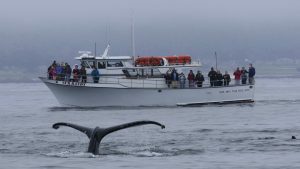 This new vessel will feature more seating than other boats in this same size class and was redesigned with whale watchers in mind. 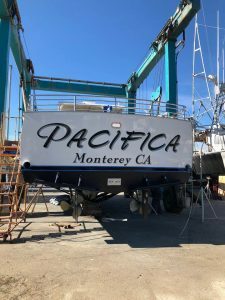 We are excited to christen it and bring it down to Monterey Harbor when it’s completed.